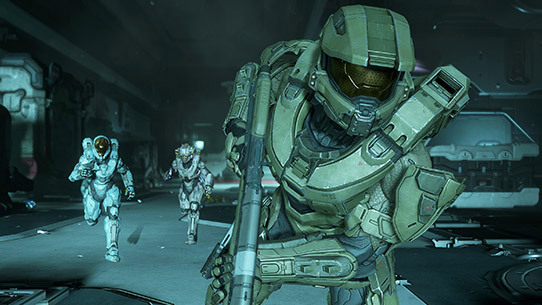 For a limited time, all Xbox Live Gold members can play Halo 5: Guardians completely free. Microsoft announced today that from January 11 through January 14, all subscribers can play the entire game, comprising its campaign (solo, or online co-op) and the full multiplayer suite. This includes standard multiplayer and the large-scale Warzone mode. The free weekend kicks off at 12:01 AM PT on January 11 and ends at 10:59 PM on January 14, and you can download the game from the Xbox One dashboard. The game is currently marked down to just $16 on Xbox Live, and this price will be available for the duration of the free weekend event. Additionally, Halo 5 is in the Xbox Game Pass program, so you can play it--and more than 100 other titles--for $10/month. One thing to bear in mind is that Halo 5 is an absolutely massive download. In the two-plus years since the game launched in October 2015, Microsoft has released numerous and substantial updates for the game, bringing its total file size to around 100 GB currently.